Castle Hill (Cerro Castillo), is located on the south side of the mouth of the Marga Marga in Viña del Mar. 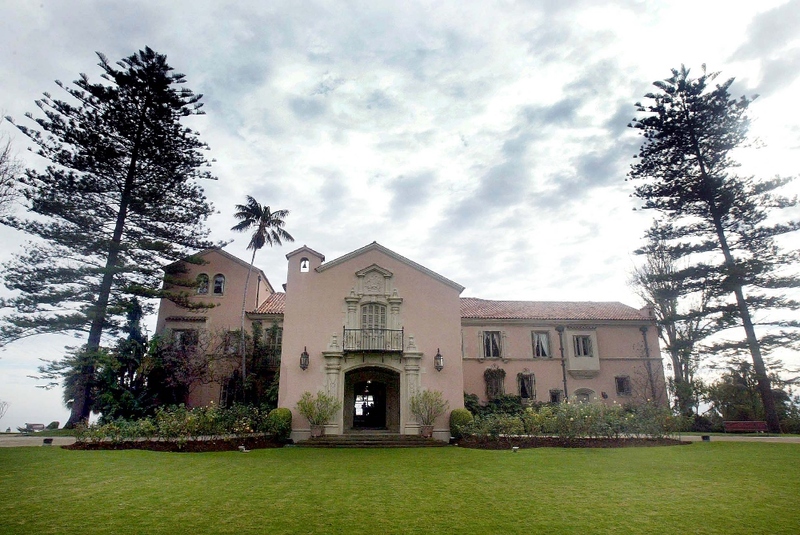 During Colonial times, the Cerro Castillo was called the "First Sister" hill, since together with the Agua Santa hill they formed the first of seven elevations that designated the land belonging to the Portuguese millionaire trader Francisco Álvarez. It gets its modern name due to fortress built on it because of its strategic location. 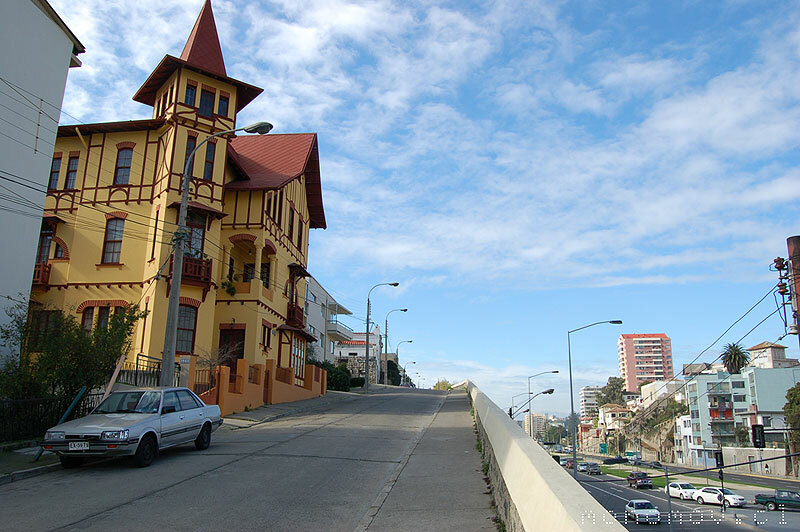 People began settling in the area at the end of the XIX century with the construction of the railway between Valparaíso and Viña del Mar, which separated Cerro Castillo from the hills, currently integrate the Recreo neighborhood. This pit is visible to this day, as a slope on the hill (on the other side it is not so, because it has been built there). One of its most important characteristics is that the area remains purely residential, defined by its calmness, a contrast from the constant hustle and bustle of the city just a few meters away. There are some small streets for leisurely walks. Cerro Castillo boasts views of nearly all of the city as well as some of the most popular beach areas. One of the streets which circling around the hill, opens directly to the city of Viña del Mar, offering a wide view of the entire city plan. The Castle Hill today is a quiet neighborhood of large homes and high economic value. The location is closely linked to Viña del Mar’s history and still today is the site of buildings with enormous architectural value. 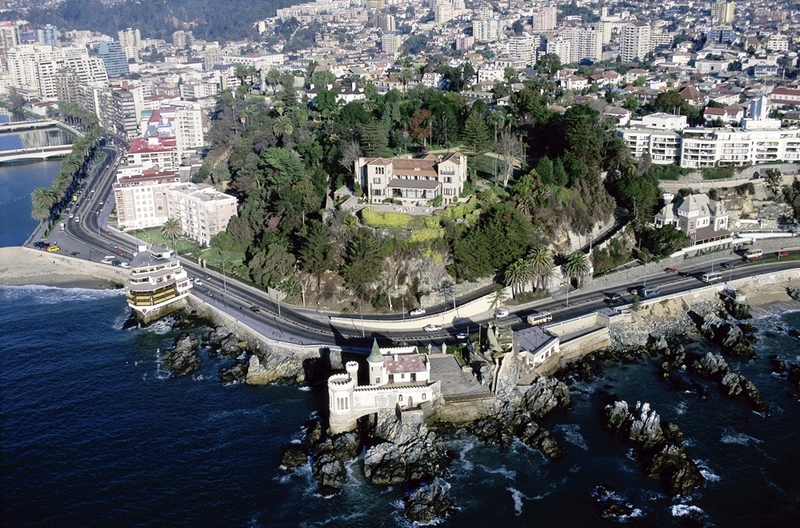 In this area you can find the seaside Castillo Wulff, now the Museum of Maritime Culture, and also the headquarters of the Chilean police. Here is located the President Palace - vacation residence of the Chilean President, which dates back to 1929. 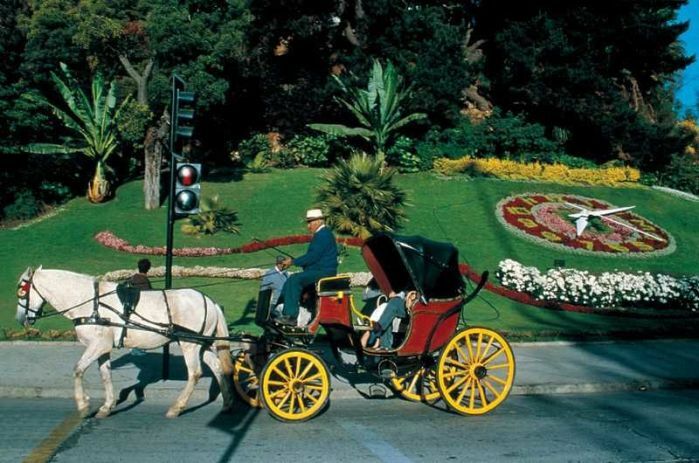 This neo-colonial style home was designed by the architects Luis Browne and Manuel Valenzuela and is recognized as one of the most emblematic and traditional buildings in Viña del Mar. In 2005, the Cerro Castillo was declared a National Monument in the Typical Zone category (recognizing the area as a whole), and the Presidential Palace - in the Historical Monument category, recognizing and protecting its rich cultural and architectural legacy. It is now open to the public on the last Sunday of every month.